Institute for Advanced Systems Engineering (IASE) as its new Associate Director of Academic Programs and as an Associate Professor-in- Residence of Systems Engineering. 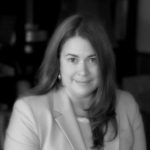 Dr. Thompson has served for the past three years as President and Lead Engineer of Paguridae, LLC located in East Haven, Connecticut, which was founded by her in 2014 to provide operations, energy efficiency, and sustainability consulting services. Prior to founding Paguridae, Dr. Thompson was an Assistant Professor of Industrial & System Engineering at the University of New Haven and served as the BS System Engineering Program Coordinator for six years and helped the new program grow and attain ABET accreditation. Dr. Thompson earned her Ph.D. in Industrial and Systems Engineering, M.S. in Manufacturing Engineering, and B.S. in Industrial Engineering from the University of Rhode Island. Dr. Thompson’s research interests include whole building energy performance assessment as well as design of complex systems, manufacturing systems, facilities, and supply chains. In 2017, Dr. Thompson was awarded the US EPA Environmental Merit Award for her work helping organizations in Connecticut better understand their building energy performance and helping them lower their energy usage. Dr. Thompson served from 2011-2014 as a member of the Connecticut Energy Efficiency Board (EEB), served as its Program Evaluation Committee Chair, and was responsible for providing feedback to the ENERGIZE CT programs. Dr. Thompson has over 15 years of professional experience working in various industries including engineering consulting, building energy efficiency, software development, medical device, agricultural chemicals, and gaming cabinets. In her new role, Dr. Thompson will help to promote and grow the academic programs of the Institute for Advanced Systems Engineering, teach its Introduction to Systems Engineering and Model-Based Systems Engineering courses, and work with its faculty to continuously improve the quality of its academic programs. She can be reached at amy.2.thompson@uconn.edu.